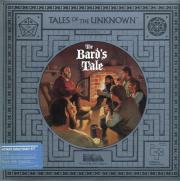 It's always harder to judge old games with a modern standard, but as a product of its time, Bard's Tale is a fun and challenging dungeon delver. Make your own characters and explore Skara Brae. Another popular series in the Wizardry/Might and Magic vein. It looks nicest of the bunch, at least.